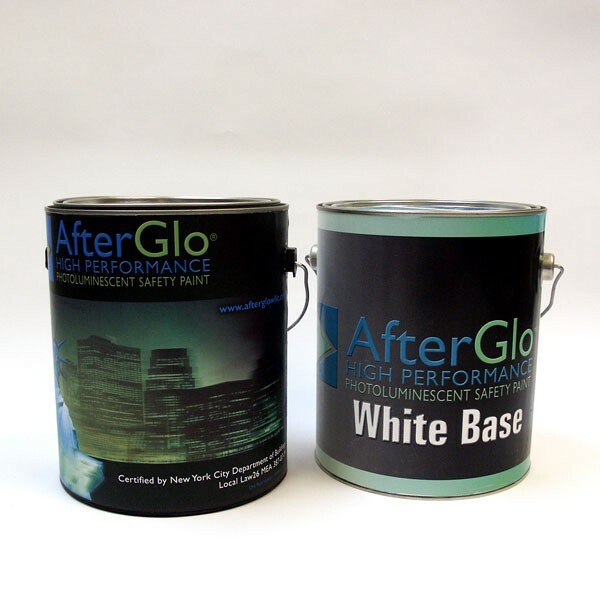 High performance photoluminescent paint kit consisting of a white base coat and a tough epoxy green glowing photoluminescent coat with integrated sealer. Pale green colored under normal light. Ideal for floor applications in exit stairwells where other products may not hold up over time. This product has been approved by the NYC Department of Buildings and assigned MEA # 387-07-M. Extremely economical when compared to tape products.